956 Lazelle Street, Sturgis, SD 57785 (MLS #58554) :: Christians Team Real Estate, Inc. Offered for sale by David Wilson - Sturgis Real Estate & Auctions. 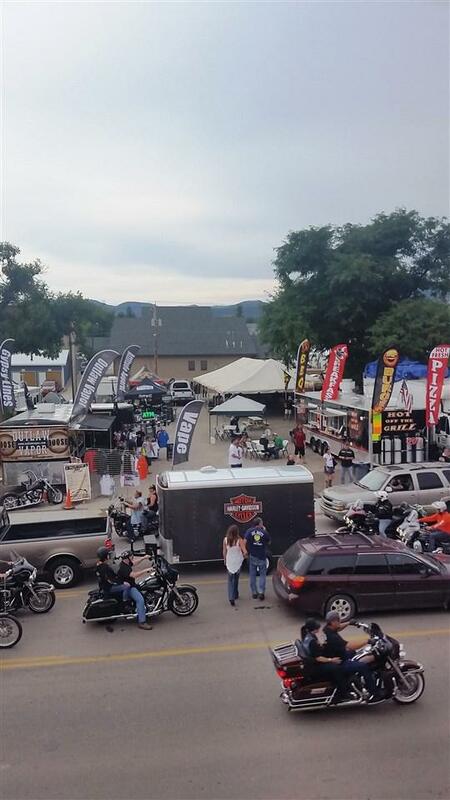 Sturgis Rally and Events paved parking lot in an excellent location along Lazelle St. (Hwy 34) Sturgis! Property has primarily been used for the annual Sturgis Motorcycle Rally and other events and features both highway and alley access. This lot has full electric hookups throughout, overhead lighting, city water & sewer and is fully set up for vending and events. The lot is entirely paved, a large shade tree to enhance the customer experience and a newer concrete sidewalk for good walk traffic.